This training course is designed to introduce candidates to the particular methods and techniques required to joint and terminate high voltage cables up to 15kV. Book your place on our high voltage training in HV Cable Jointing today by filling in our online booking form to the right, or by calling the team directly. 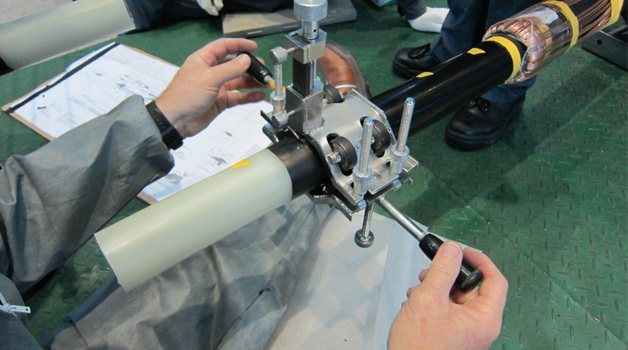 You’ll be involved in the preparation of high voltage polymeric cables prior to splicing or terminating the cables. The understanding of how to correctly strip and prepare a cable will enable the candidate to install almost any type of joint or termination by any manufacturer.